Stampin' Up! 's promotion for a FREE Big Shot (or $100 in merchandise of your choice from Stampin' Up!) has been extended to November 11, 2011. Have you been thinking about becoming a Stampin' Up! Demonstrator? If yes, let me know and I will send you additional information. Stampin' Up! has both business demonstrators (those that want to earn an income from sales) and hobby demonstrators (those who just want a discount on their purchases). My team has both types, and I'm always looking for additional members of my team. Additional information is available HERE. about becoming a demonstrator. All new demonstrator are required to purchase a starter kit for $175 (free shipping). 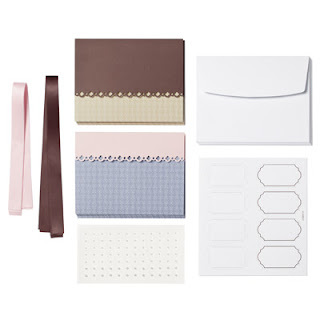 The starter kit is valued at over $340 worth of merchandise and business items. You can choose from the Standard Starter Kit or the Digital Starter Kit. All my life I have done crafts. I have crocheted, knit, embroidered, liquid embroidery, latch hook, sewing, and even cake decorating (my largest cake was for 400 people), plus candy making and more. This post doesn't pertain to Stampin' Up!, but I just had to share my latest project with you. Yesterday we were going thru a material section of a big box store and I saw this jean purse for a child (or someone who likes really small purses). I then found the butterfly buttons and knew I had found a great gift for a dear friend's daughter. As soon as we got home last night I sewed the buttons on the front pockets and the back pocket too. The purse was a big hit with Kassidy (age 5) when we gave it to her tonight as a surprise. The purse also contained a 2 pack of gluten free cookies for her as a pre-Halloween treat. Hope you all have a Spooktacular Halloween. 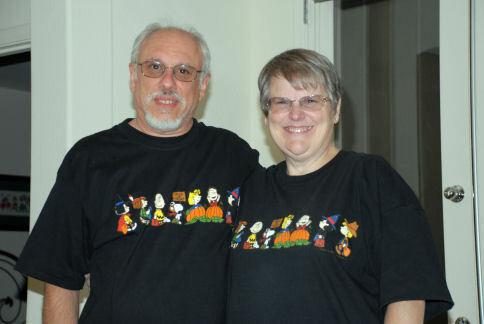 The photo of Hal and I was taken last Halloween. This is my second project for next month's class (1st was showcased yesterday on my blog). This is called a Spring Card. It is very easy to create. It lays flat in the envelope and springs up and stands alone. I used a Whisper White card base and decorated it with DSP and stitched felt. NOTE: This size envelope may require extra postage. Did you realize that Stampin' Up! 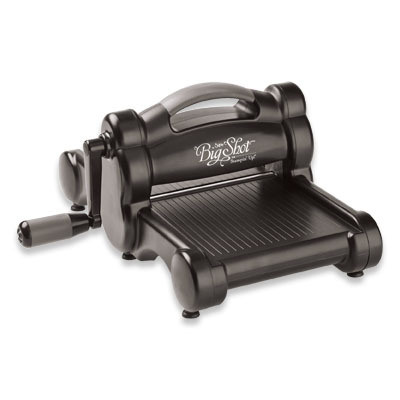 has Kraft Gift Boxes for sale in our Holiday Mini Catalog. There are 4 boxes to a package and they are only $2.95 a package. Their approximate size is 3 1/2" x 3 1/2" x 2 1/2". The kraft box can be left plain, directly stamped on, or covered with cards stock or designer series paper (DSP) --- the choice is yours. It can be used year round for any occasion. They will be available only until January 3, 2012. So if you would like some, I would highly recommend ordering them soon. They are perfect for small gifts and goodies. The box I decorated above was covered with DSP and Stitched Felt -Winter Wishes and 3/8" Quilted Satin Ribbon. This will be one of our projects for my class next month. 1. Score the Whisper White Card Stock piece (5 ½” x 8 ½”) at 4 ¼” This is your card base. 2. Wrap & secure the 5” ribbon piece over the Rich Razzleberry Card Stock piece that is 4 ¼” x 2”. a. Using SNAIL Adhesive or Sticky Strip attach to bottom front of card base. 3. Stamp Happy Birthday on scrap of Whisper White Card Stock, then punch out with XL Oval Paper Punch. a. Using dimensionals attach to card. 4. Adhere the 3 ¼” x 3 ¼” piece of Rich Razzleberry to the front upper part of the card base making sure to center it. a. Stamp the image of the machine on the 2 ¾” x 2 ¾” pieces of Whisper White Card Stock. i. Adhere one image to the Rich Razzleberry Card Stock 3 ¼” x 3 ¼” piece. ii. Cut out the other piece and then layer If on the other image using dimensionals. The latest My Digital Studio downloads are now available from Stampin' Up! Click HERE to view the latest downloads. 1. Take the 7 ½” x 9 ½” piece of Designer Series Paper (DSP) and score it on the long side at ½” & 5” then crisply fold using the bone folder. 2. Attach a strip of sticky strip to the narrow area. You want this part to be inside the cover, so carefully hook the pieces together. 3. Using the Crop-a-dile, punch 2 holes 3/16” overlapping them and going thru both layers of the DSP. a. Thread the 20” of the ribbon thru the holes. b. Now put the bag of microwave popcorn in the middle (see the center photo), push down into the cover then tie knot/bow in the ribbon to secure the popcorn. 1. 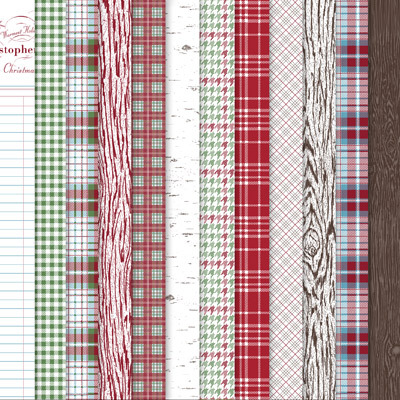 Score the Cherry Cobbler Card Stock (5 ½” x 11”) at 5 ½’. Crisply fold. a. Place over the main stocking part of the die, bringing it a bit down to keep the fold intact. b. Now use the Whisper White (5 ½ x 8 ½) and cut out all the pieces on the die. i. The stocking piece will be used for the inside of the card. ii. Sponge the cuff, heel, and toe pieces with Cherry Cobbler Classic Ink. iii. Either trim the white stocking to fit the inside of the card OR stamp the Merry Christmas image and punch out with the scallop circle punch plus one more to sign. 1. Glue your choice inside the stocking card. iv. Glue the cuff, heel and toe to the stocking. The cuff will be place higher than the top of the stocking and will be centered left to right. c. Attach stocking to the popcorn cover using dimensionals. Be careful how you place them as you don’t want to block the hole for the ribbon. Attach the large button using glue dots. If you would like to see a video that I did last year on how to make a Cocoa/Chocolate Bar Slider (smaller version of the popcorn cover), you can find it on the KreatesKards YouTube Channel. Stampin' Up! just released a video tutorial on how to create the Christmas Keepsake Box. It is a 45 minute tutorial and gives you the completed directions on how to make the box. It is a great visual tool to use along with the printed directions you receive with the box. You may purchase this gorgeous box thru my Stampin' Up! website, here more specific information about the box too. As a special offer related to a recent advertisement in Woman’s Day Magazine, the Christmas Keepsake Box--left over from a recruiting promotion incentive in July--is available for demonstrator or customer order from now until December 31, 2011 (or while supplies last). 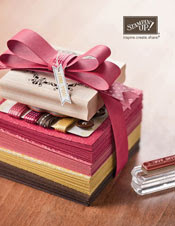 This box is an ideal gift, and is perfect for getting new customers papercrafting in time for the holidays. 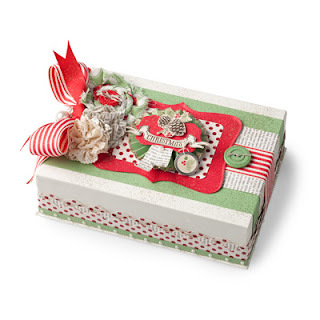 Unlike the original offer in July, this Christmas Keepsake Box does NOT include the Pines & Poinsettias stamp set. Orders can be placed as demonstrator, customer, workshop, or online orders. Sneak Peek of a tutorial for next week. This is one of our projects for Saturday's class. I will have a tutorial for this posted on my blog next week. Designer Series Paper - Frostwood Lodge - Stampin' Up! You’ll want to wrap yourself up in the warm textures of this paper! 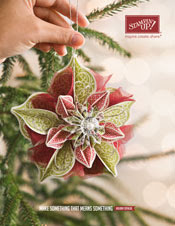 Holiday colors and cozy designs make this a great choice for your holiday projects. 12 sheets total. 2 each of 6 double-sided designs. Acid and lignin free. 12" x 12". 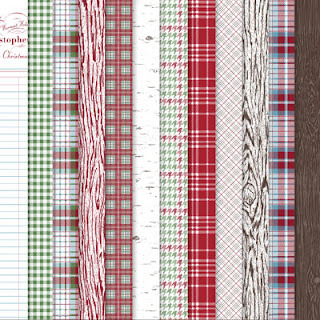 The woodgrain and the plaid sheets of paper will be perfect for both Christmas or masculine cards throughout the year you want to create. If you are trying to match colors with it, use Cherry Cobbler, Garden Green, Early Espresso, Marina Mist, and Whisper White. Remember tho, that this Designer Series Paper is in the Stampin' Up! Holiday Mini so is only available to order until January 3, 2012. Now is the perfect time to order it too if you want to use it for your Christmas cards this year. Simply Sent Sweet Moments - Happy Birthday JoanH! First I want to take a moment to wish my friend, Joan, a very Happy Birthday. I hope your day is filled with wonderful surprises. During the month of October, if you purchase two Simply Sent Kits you receive a free stamp set (restrictions apply, view the details here). I did use my Stampin' Up! butterfly punch and silver glimmer paper to create a butterfly for Joan's card. They are not part of the kit. Some really great downloads available starting today ... Stampin' Up! has even included one for the hockey fans. This is one of the cards I made yesterday using the Simply Sent Everyday Elegant kit. Right now if you purchase two Stampin' Up! Simply Sent kits, you will receive a free stamp set (restrictions apply ... please read details here). I decided to make three more cards using the basics from the tutorials I posted on Wednesday and Thursday this week. I used the same colors and stamps, just created a different look for the cards. Enter Today: It's the Last Day of the My Digital Studio Contest! October 15, 2011 Don't forget to send your digital designs to MDSContest@stampinupcom; today's the last day to enter the My Digital Studio Contest! You won't want to miss out on your chance to win $400 in FREE, exclusive Stampin' Up! downloads! You'll also want to give your customers a quick call or send an e-mail reminding them of the deadline. 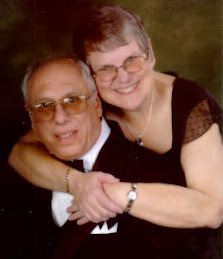 For more contest information, visit MyDigitalStudio.net. Sweet Pressed Cookie Stamps Video From Stampin' Up! Stampin' Up! just added a new video about the Sweet Pressed Cookie Stamps. I'm posting it here on my blog, so if you are reading this via e-mail you will not be able to view the video unless you come to the blog. You can order the Sweet Pressed Cookie Stamps on my Stampin' Up! Website, just click on Shop then put in item #125152. I think the set makes a wonderful gift too. 1. Score the card base at 4 ¼” and crisply fold. 2. Using the 4 ¼” x 5 ½” piece of Very Vanilla Card Stock, stamp three flowers. i. Using a dimensional, attach the smaller flower to larger one. 3. Glue the Basic Black Card Stock to the card base. a. Using Sticky Strip, attach the ribbon to the DSP. b. Attach DSP to the piece of Basic Black Card Stock. 4. Stamp “Merry Christmas” on the card base. 5. Punch out one silver butterfly. 6. Glue flowers to card with Snail and butterfly with a dimensional. 7. 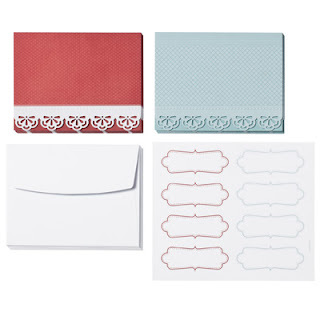 Use Dazzling Details to accent card. Vintage Stampin' Up! Ink Refills Now Available.